According to Walt Disney CEO Bob Iger in an interview with Bloomberg TV on Monday morning, Star Wars: The Force Awakens is now "more likely to be in the $247[million] range domestically." The increase is a result of the film holding much stronger on Sunday than Disney had originally expected. Thanks in part to the stronger than expected Sunday in North America, Disney now expects Star Wars: The Force Awakens to set a new global record as well. In the same interview with Bloomberg TV, Iger notes "the total global take for the weekend could be in the neighborhood of $528 million." Jurassic World opened with a record-breaking $525 million global launch earlier this year, which also included China (where Star Wars: The Force Awakens has yet to open). Check back later today for the actual weekend figures for Star Wars: The Force Awakens. Disney's Star Wars: The Force Awakens had a truly historic debut with a record breaking estimated opening weekend take of $238.0 million. The long awaited seventh installment of the Star Wars franchise had been expected to set a new all-time opening weekend record and the film made good on those expectations and then some. The Force Awakens demolished the previous opening weekend record, as it opened $29.19 million and 14 percent ahead of the $208.81 million debut of previous record holder Jurassic World earlier this year. The opening weekend performance of The Force Awakens was made even more impressive by the fact that no prior December release had ever even opened above the $100 million domestic mark. The Force Awakens opened an astonishing 181 percent higher than the $84.62 million debut of previous December opening weekend record holder The Hobbit: An Unexpected Journey back in 2012. The per-location average for The Force Awakens was a massive $57,568. Star Wars: The Force Awakens opened with a record breaking $120.5 million on Friday (which included a record breaking $57.0 million from Thursday night shows), decreased 43 percent on Saturday to gross $68.7 million and is estimated to decline 29 percent on Sunday to take in $48.80 million. That places the film's opening weekend to Friday ratio at 1.98 to 1. When factoring out Thursday night grosses from Friday, the film's Saturday performance was up a healthy 8 percent over Friday alone. The audience breakdown for Star Wars: The Force Awakens skewed towards male moviegoers (58 percent) and towards moviegoers over the age of 25 (63 percent). Family audiences made up 20 percent of the film's overall audience this weekend. 3D grosses represented 47 percent of the film's overall grosses. IMAX 3D (which is also included in the overall 3D split) accounted for an estimated $30.1 million (12.6 percent) of the film's overall grosses. With an overseas start of $279.0 million thus far, the estimated global total through Sunday for Star Wars: The Force Awakens is $517.0 million. Alvin and the Chipmunks: The Road Chip opened in a distant second place with an estimated $14.4 million. The fourth installment of Fox's animated live-action hybrid franchise opened in line with expectations and performed respectably in the shadow of The Force Awakens. The Road Chip opened 38 percent below the $23.24 million start of 2011's Alvin and the Chipmunks: Chipwrecked, but had been widely expected to open softer than its predecessor. The Road Chip started out with $4.14 million on Friday, increased 39 percent on Saturday to take in $5.73 million and is estimated to decline 21 percent on Sunday to gross $4.54 million. That gives the film an estimated opening weekend to Friday ratio of 3.48 to 1. The film received a healthy A- rating on CinemaScore, which suggests that there is once again a disconnect between moviegoers and critics when it comes to the Alvin and the Chipmunks franchise. With no new family films entering the marketplace until Lionsgate's Norm of the North does so on January 15, Alvin and the Chipmunks: The Road Chip is highly likely to hold up very well going forward. Universal's Sisters debuted closely behind in third with an estimated $13.42 million. Like The Road Chip, the R-rated comedy starring Tina Fey and Amy Poehler also opened in line with pre-release expectations. Sisters debuted 23 percent below the $17.41 million start of 2008's Baby Mama, but had been expected to do so as a result of its pre-Christmas launch. Sisters did open an encouraging 16 percent ahead of the $11.58 million start of This Is 40 back in December of 2012. Sisters started with $4.95 million on Friday, declined a slim 2 percent on Saturday to gross $4.84 million and is estimated to fall 25 percent on Sunday to gross $3.63 million. That places the film's estimated opening weekend to Friday ratio at 2.71 to 1. The audience breakdown for the film skewed heavily towards female moviegoers (79 percent) and towards moviegoers under the age of 30 (58 percent). The film received a solid B rating on CinemaScore. Sisters should hold up well going forward, as the film is positioned nicely to continue serving as counter-programing to Star Wars: The Force Awakens and to many of the new wide releases that will be entering the marketplace over the next two weeks. After leading the weekend box office for four consecutive frames The Hunger Games: Mockingjay - Part 2 fell to fourth place with an estimated $5.65 million. The final chapter of Lionsgate's young adult blockbuster franchise was down 50 percent from last weekend. Holdovers in general were down sharply as a result of the added presence of The Force Awakens in the marketplace. Mockingjay - Part 2 has grossed $254.44 million in 31 days, which places the film 12 percent behind the $289.36 million 31-day take of last year's The Hunger Games: Mockingjay - Part 1. 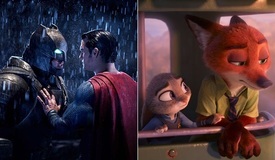 Warner's Creed and Disney's The Good Dinosaur claimed fifth and sixth place with respective estimated takes of $5.09 million and $4.23 million. Creed was down 50 percent from last weekend, while The Good Dinosaur fell a troubling 59 percent. Respective 26-day totals stand at a softer than expected $96.55 million for The Good Dinosaur and at a stronger than expected $87.90 million for Creed. For all of us who wondered what a modern Star Wars movie could accomplish at the box office if it had similar universal praise behind it once enjoyed by the original films... we now know. The numbers are in, and Star Wars has re-written the record books and all preconceived notions of what's possible at the box office all over again. Disney estimates The Force Awakens launched to an unprecedented $120.5 million on opening day Friday, blowing away the previous single day and opening day records of Harry Potter and the Deathly Hallows Part 2 ($91.1 million) by a whopping 32 percent. That's a truly stunning figure when considering that just 13 years ago, the record for an entire opening weekend was $114 million as held by the original Spider-Man -- a number which was unheard of at the time. Excluding Thursday's night record-smashing $57 million launch (which also beat the Potter finale's $43.5 million previous record), The Force Awakens grossed $63.5 million on "Friday proper". Strong word of mouth is clearly driving a historic debut as fans and casual audiences alike turn out to be among the first to see what has ended up becoming arguably the most anticipated film in history. That unofficial title was once held by Star Wars: Episode I - The Phantom Menace, which debuted to a (then record) Wednesday opening day of $28.54 million. Even when adjusting for inflation and 3D ticket prices enjoyed by Awakens, the latter title sold more than twice as many tickets in its first day than did Phantom. For more stats: Awakens not only beat Revenge of the Sith's $50 million opening day (a record ten years ago) with Thursday night shows alone, it has now earned more in less than 30 hours domestically than Phantom Menace did in its first six days of release. The Force Awakens also bested Jurassic World's $81.95 million opening day last summer by 47 percent. In the process, The Force Awakens toppled The Hobbit: An Unexpected Journey's (now former) December weekend record of $84.6 million by 42 percent in a single day. The even better news is that word of mouth is overwhelmingly positive among both fans and casual audiences. Disney reports an "A" CinemaScore, with women and younger audiences giving it an "A+". Flixster reactions are excellent at 93 percent, while Rotten Tomatoes critics currently sit at a stellar 95 percent among hundreds of reviews counted. Even amid these record numbers, Disney emphasizes that tickets are still available for sale this weekend and beyond -- but plan your trip to the theater as far in advance as possible. There's no doubt that The Force Awakens will play strongly through the holidays and well into the new year. The question now turns to figuring out how front-loaded it will be. The talk is all about "the multiple" -- that's what any holiday release aims for this time of year, be it a blockbuster or smaller film. It seems very likely at this point that Awakens will be chasing down many more records in the days and weeks ahead, and we'll cover as many of them as possible. For this weekend, however, comparisons remain generally unreliable. The Saturday hold from "Friday proper" ($63.5 million) will be the biggest indicator about where things are heading. BoxOffice is currently projecting a 10 percent increase from that figure, which would give Saturday a gross around $69.85 million. From there, a Sunday drop of 14.6 percent to $59.65 million seems reasonable given the incredible response to the film and the numerous sellouts pushing audience plans to view the film another day. Those numbers could even be conservative if Avatar was any indication six years ago (it only dropped 3 percent from Saturday to Sunday); although, the first Hobbit dropped a more normal 29 percent on Sunday. 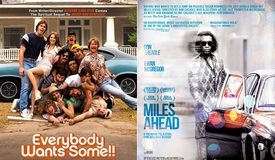 In all, BoxOffice is projecting a historic $250 million opening weekend domestically, with potential to go even higher. That would best Jurassic World's recent $208.8 million record debut by nearly 20 percent even without the advantage of opening during summer when schools are out and holiday shopping isn't competing for audience attention. The weekend as a whole is bound to set records as well: Star Wars and the new releases alone will likely combine for more than $266 million, which is the cumulative total of the biggest box office weekend ever when counting all releases (achieved during Jurassic World's opening weekend). In the long run, we remain confident The Force Awakens will at some point dethrone Avatar as the all-time domestic champion. How high will it go? We'll analyze that more in the days and weeks ahead. Debuting in second place on Friday was Universal's Sisters, which pulled an estimated $4.92 million. That's a very healthy opening on its own terms, especially in the wake of Star Wars. Tina Fey and Amy Poehler's popularity certainly proved to be strong counter-programming among older female audiences who weren't interested in (or are just waiting out the crowds for) The Force Awakens. By comparison, Sisters opened 33 percent higher than This Is 40 ($3.71 million opening day in December 2012). Staying power is expected to be strong throughout the holidays and early winter with positive word of mouth among the target audience. BoxOffice projects the film will earn $14.3 million for its opening weekend, slightly higher than the studio's $14.0 million projection. Alvin and the Chipmunks: The Road Chip opened in third place on Friday with $4.125 million. That's 38.5 percent lower than the franchise's previous entry, Chipwrecked (whose first day tallied $6.71 million on the same weekend in 2011). 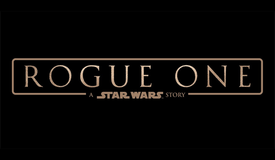 As a strong alternative for families with kids too young for Star Wars, the fourth film in the series should also play well through Christmas and New Year's. 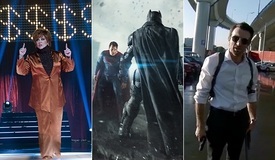 BoxOffice projects a $14.5 million opening weekend. The Hunger Games: Mockingjay - Part 2 scooted down to fourth place yesterday with $1.55 million, off an expected 53 percent from last Friday. The franchise finale crossed the $250 million domestic mark in the process. 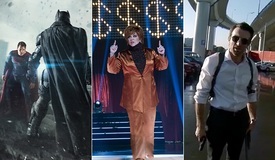 BoxOffice projects a $5.5 million weekend. Filling out the top five, Creed was off 53 percent from last Friday as well to $1.375 million yesterday. Its domestic haul is now an excellent $84.2 million as it continues pacing far ahead of 2006's Rocky Balboa. Look for a weekend around $4.8 million. Meanwhile, The Big Short was also susceptible to Star Wars fever as it eased 54.5 percent from opening day last week to $101,000 on Friday. Remaining in 8 locations again this weekend, the film's strong reviews and awards buzz are expected to keep carrying it into its wide release expansion on Wednesday. The film has earned an impressive $1.04 million through 8 days of platform release. BoxOffice expects a second weekend around $340,000. Follow BoxOffice on Sunday and beyond for continued updates on Star Wars: The Force Awakens' unprecedented opening, with updated studio estimates to come early tomorrow. As midnight approaches on the west coast, Disney has revised their current early estimates upwards for Star Wars: The Force Awakens. The film is now projected to gross somewhere in the range of $120M to $125M for Friday and $225M+ for the entire weekend. 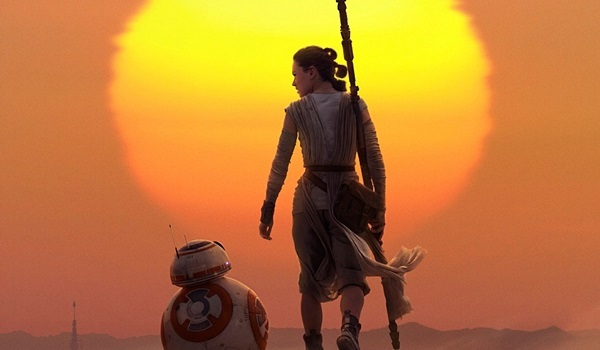 Star Wars: The Force Awakens has earned a strong A rating on CinemaScore. Check back on Saturday morning for the next update on Friday's record-breaking opening day performance. While it is still very early, as of Friday evening Disney is projecting that Star Wars: The Force Awakens is on pace for an opening day performance in the range of $120M+ (which includes the $57M the film grossed from Thursday night preview shows). This will make Star Wars: The Force Awakens the first film to ever surpass the $100 million domestic mark in its first day of release. Disney's very early weekend projection for Star Wars: The Force Awakens is $215M+, which would surpass the $208.8 million opening weekend take of Jurassic World back in June to establish a new all-time opening weekend record. Star Wars: The Force Awakens would represent only the third film to ever have an unadjuted opening weekend of at least $200 million (joining Jurassic World and 2012's Marvel's The Avengers). And being able to open at this level during the month of December makes the feat even more impressive than it is to begin with for The Force Awakens. Disney also continues to stress that even with the film's record-breaking start, there are still plenty of tickets available for the film throughout the rest of opening weekend. According to Dave Hollis, EVP Distribution at Disney, "there are literally millions of tickets available for this weekend, and exhibitors have a lot of flexibility in terms of capacity and increasing the number of shows based on demand." Exhibitors are continuing to add more and more showtimes to meet demand, as Amy Miles, CEO at Regal Entertainment Group notes "with the increased demand for Star Wars, we will continue to add showtimes to accommodate the avid fans that have been eagerly awaiting the seventh film in this blockbuster series." Elizabeth Frank, AMC, Chief Content and Programming Officer adds "this weekend and beyond AMC will offer consumers the opportunity to enjoy Star Wars however they would like - evening, midnight or morning, IMAX, Dolby Cinema, 2D or 3D... And there are plenty of tickets available for them all." We may receive revised early estimates from Disney later tonight. Stay tuned and be sure to check back on Saturday morning for the film's official Friday estimate and Shawn Robbins' full Friday and early weekend analysis on Star Wars: The Force Awakens. Disney reports this morning that Star Wars: The Force Awakens debuted to an astounding $57 million from Thursday night shows, handily topping Harry Potter and the Deathly Hallows Part 2's $43.5 million midnight/Thursday record launch back in July 2011. 47 percent of last night's record-breaking figure came from 3D sales, while IMAX accounted for $5.7 million of the haul (doubling the previous record of $3 million). The long-awaited film is certainly living up to expectations so far (if not beyond), and looks to be on pace for a record opening day (also held by Potter's finale at $91.1 million) based on historic pre-sales reported by Fandango and MovieTickets.com. Not only do we think The Force Awakens will surpass that record, BoxOffice is projecting the film will achieve the first $100 million opening day in domestic history. Meanwhile, Sisters also posted a respectable debut under the circumstances with a healthy $769,000 last night. There will be plenty more to talk about over the weekend (and beyond), so follow BoxOffice for further updates. We'll update this and other related stories with official information and estimates as they come in.